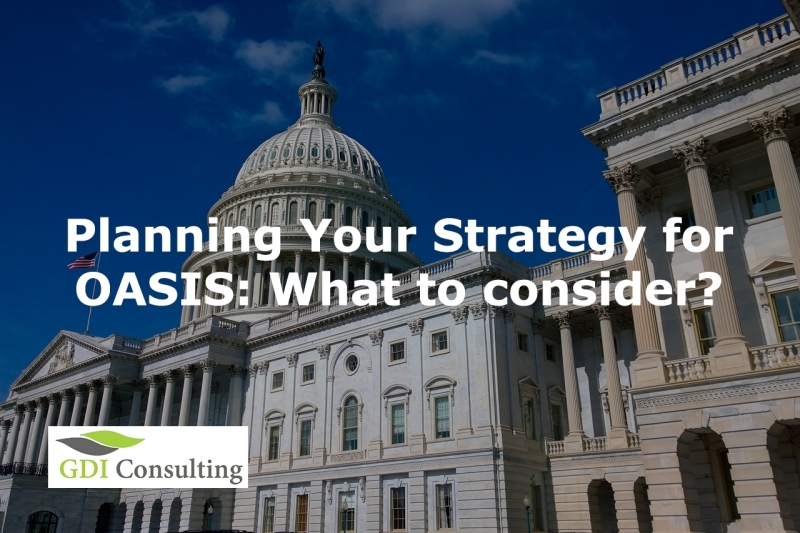 One of the most lucrative contract opportunities for 2019 is One Acquisition Solution for Integrated Services (OASIS) On-Ramping, a goal for many contractors. The OASIS SB Pool 1 final solicitation was released in the official website of Federal Business Opportunities on September 10, 2018, and closed on November 13, 2018, at 11 on the same page. However, since then GSA has announced some changes. The agency plans to on-ramp OASIS SB sub-pools for 8 (a) contractors for Pools that have had previous task orders issued under OASIS SB. OASIS Unrestricted Pools 1, 3 and 4 will follow the 8 (a) sub-pools later this year. For all of you who are interested in becoming a part of this giant project, we suggest you learn everything you need to know to plan your strategic participation. GSA has revised certain issues, especially related to teaming, which allow contractors to form Contractor Teaming Arrangements. This means that contractors can use a partner’s past performance when they submit their proposal, giving a new chance to many Offerors that considered themselves non-eligible to compete for the OASIS contract vehicle. So, what you need to know? What is OASIS Contract On-Ramps? 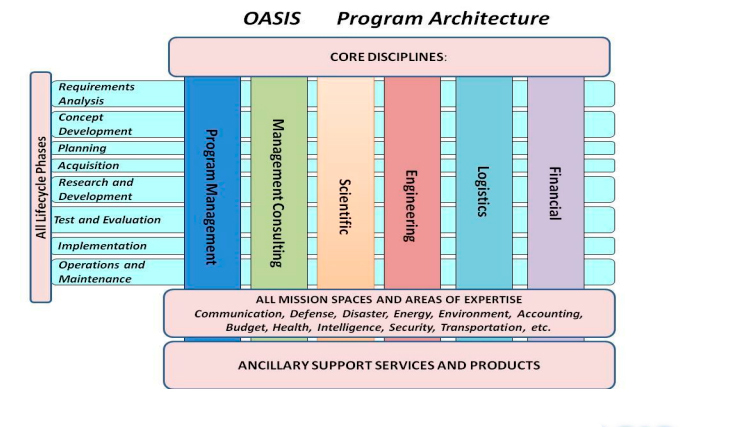 The main purpose of OASIS is to enable federal agencies a simplified process of purchasing complex professional services. While GSA delivers program management and contract administration at the master Contract level, the agencies will have access to efficient with innovative streamlined solutions. In the meantime, this allows the agencies to focus on their core functions, expertise, and mission. The performance period is foreseen to be 5 basic years and 5 optional years. In the additional period, only Oasis contractors will have the opportunity to compete for task order in different contract types. This is because one of the key criteria to qualify for these types of contracts is that the contractors must be experienced and highly technically rated. The main objectives and benefits of the Government for Federal agencies through this acquisition are growth and flexibility. According to the solicitation, the evaluation process will be on divided into two phases, where only the contractors that pass the first one will be able to continue with the competition. It’s worth mentioning that the requirements for an OASIS award are rigorous and very high. All interested offerors will receive a self-scoring sheet to assess how positioned they are to win an award and see if they are prepared enough to pass the Acceptability Review. Based on the studies and analysis we have made, one of the best ways to increase the winning potential is Strategic Teaming, submitting your offer as a prime/sub-contractor on a joint venture. Below you can find the proposal evaluation criteria and bases for an award. As mentioned before, highly technically rated Offerors at a reasonable price will have a great priority. GDIC consists of a group of professionals who have a long-standing experience and expertise with government procurements. They have comprehensive knowledge of the Federal Contract Mechanism, with a special emphasis on GSA contracts. Our firm has an over 91% of win rate in self-scoring projects and will help you maximize your winning potential through competitive participation. Our experts can help you familiarize with the structure of OASIS, the Pools, the point system, relevant experience projects, pool qualification projects, any many more other aspects. Contact us!